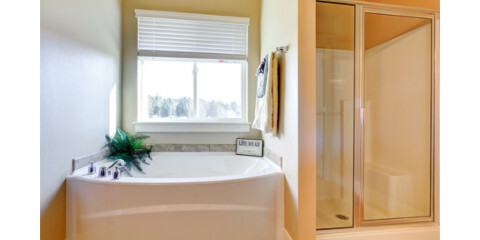 Bathroom remodeling largely depends on the budget that has been set. While some homeowners have enough to completely start over with a custom design, others may only have the finances to update their fixtures. No matter what level of remodeling you’re considering, schedule an appointment with InsideOut Renovations today. These highly-trained professionals have been recognized as the leading remodeling contractors in Lincoln, NE, since 2005 and offer the services that will give your bathroom the facelift it needs. Over the years, you may start to notice discoloration around the base of the faucets, drains, and showerheads. This is due to the presence of hard water and can be very difficult to clean off despite how hard you scrub. Why not consider replacing these fixtures with new, shiny products? It’s a simple bathroom remodeling step and will go a long way toward improving the room’s appearance without jeopardizing your finances. If there’s still room in the budget, you could go one step further and purchase a whole new bathtub or shower stall. Featuring easy access and convenient combinations, these new-and-improved products come in a variety of styles and are made to fulfill a number of needs, so there shouldn’t be a problem finding the one that perfectly suits your preference. Even though custom bathroom remodeling projects are known to put a dent in your wallet, they are also recommended as one of the most worthwhile investments a homeowner can make. Experienced remodeling contractors encourage their clients to consider how to best use the space and are ready to offer their professional opinion in helping to create a design that satisfies their specifications. Whether you’re having new showerheads installed or want assistance in drawing up a custom layout, set up an appointment today with InsideOut Renovations by calling (402) 474-0028. These experts specialize in remodeling and will be happy to help you determine how to get the most for your money. Visit their website for additional information about their kitchen remodeling and wood flooring solutions.